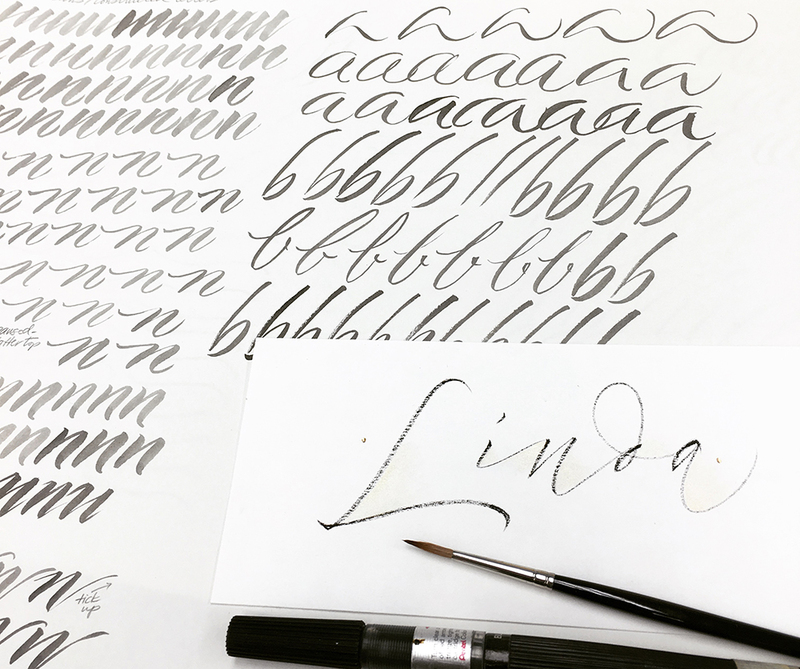 I attended a wonderful Society for Calligraphy workshop over the weekend – The Passionate Pointed Brush with Julie Wildman who was visiting us from Chicago! Julie has been working as a designer and artist for over 25 years. The class took place on the campus of Cal State Long Beach. The classroom was nice and big, and we had so much room on big work tables! I have always loved the pointed brush. It’s definitely quite challenging because it is so different from using a steel nib. 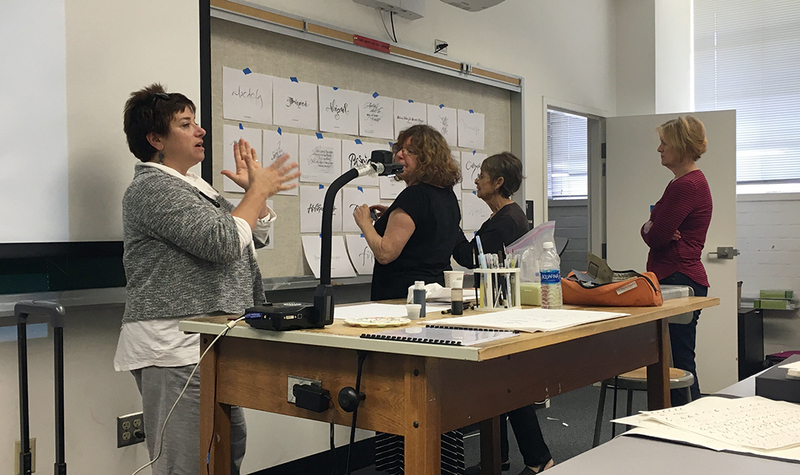 Julie shared some great exemplars with us, including her own, as well as work from pointed brush master calligraphers such as John Stevens, Yves Leterme, and Carl Rohrs. She also showed us letterform variations, such as the different ways to do each letter. I loved watching her do demo – she has such great control of the pointed brush and has such a light touch. This entry was posted in The Learning Process, Workshops and tagged Julie Wildman, pointed brush, workshop on November 25, 2016 by linda.